Style 113 is an all-time favorite for all outdoorsman and active lifestyle people. 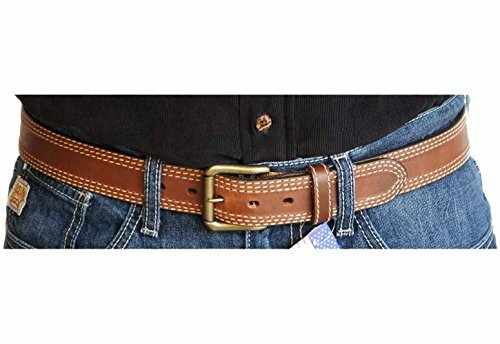 This natural oil tanned belt has 6 rows of heavy duty saddle stitching down the length of the belt giving it a great rugged look and pairs well with high activity and casual wear, the more you wear this one and all of our belts the better they get and the more you like them. 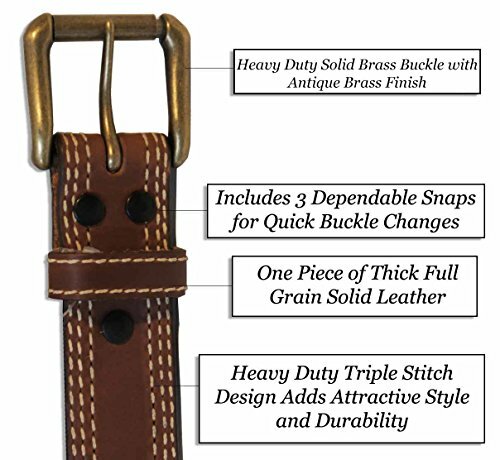 This belt comes with an antique brass finish roller buckle. RGBULLCO Leather starts with a thick cut of premium cowhide that is 9oz. to 10oz. 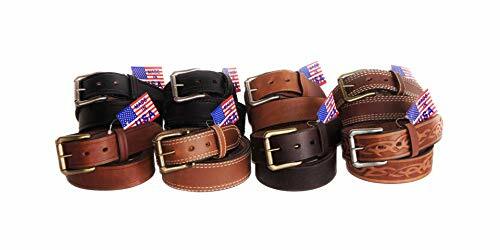 thick or 3/16" thick solid one piece leather we then craft them into all our different patterns and styles giving the consumers a USA Made High Quality, Durable, Long Lasting Leather Belt that is very affordable for all types of consumers. RGBULLCO Leather Belts were born from a need in the market for a high quality leather belt that were made in the USA with top quality thick cut long lasting solid leather that would cost the consumers about the same as the faux leather (fake plastic leather) that are imported from other countries. 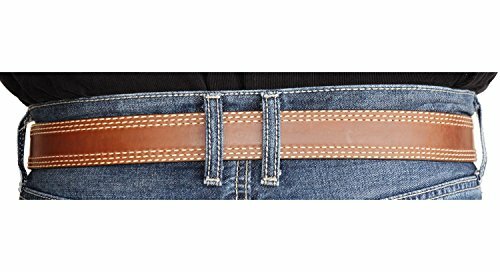 BEST BELTS EVER - This natural oil tanned belt has 6 rows of heavy duty saddle stitching down the length of the belt giving it a great rugged look. This is an all-time favorite for all outdoorsman and active lifestyle people. MADE IN USA - Each belt is made 100% from locally raised cattle of handcrafted one solid piece of full grain leather. Colors can vary due to the nature of natural leather goods, item may appear slightly different then pictured. HIGH-PERFORMANCE MATERIAL - Our leather belts start out as a thick 3/16th of an inch leather strap cut straight from a full cowhide and then cut and designed into our different styles that will give many years of durable and dependability. PREMIUM CRAFTSMANSHIP - Each belt buckle is made of a solid brass one-piece cast design with a strong axle and a roller wheel for years of longevity and durability. INDUSTRY MADE - Perfect for Police Officers, Detectives, Fireman, Security, Postal Workers, Lineman, and Construction. 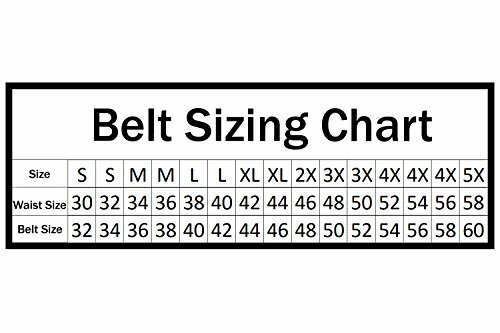 Also a heavy duty belt for anyone looking for a great looking belt to last for many years of use.